Stikbold! is absurd. 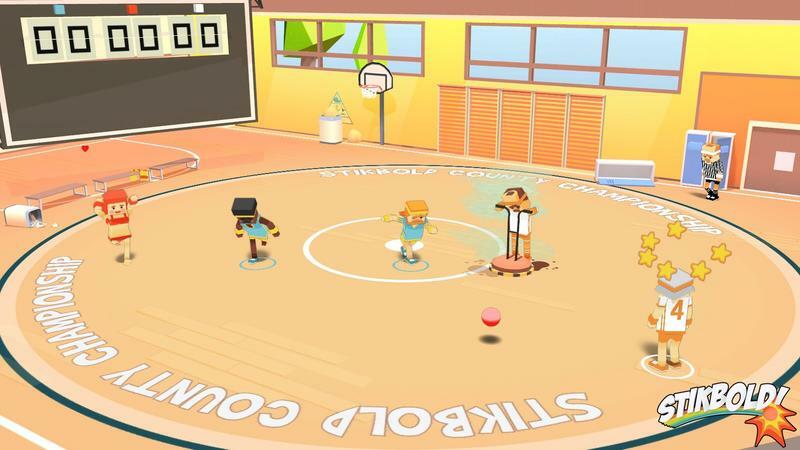 This is a twinstick dodgeball game built for cooperative and competitive local play. 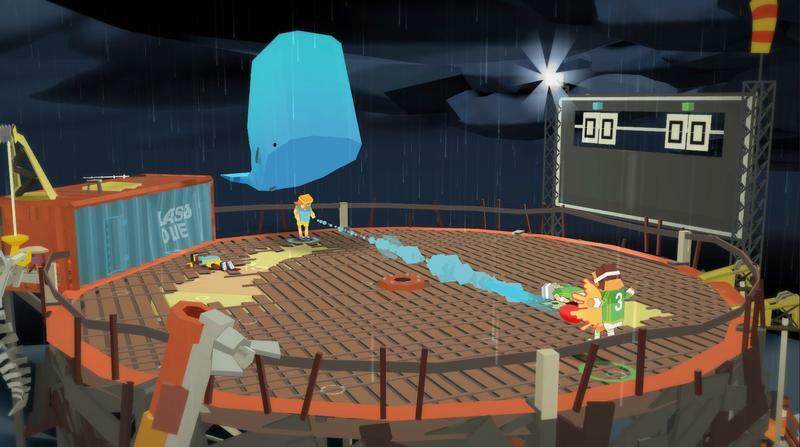 It has a story mode for one or two players, which I'll address, but the most fun I've had with this game over the last week has been with friends. This game is selling for the PlayStation 4 and PC, and its standard price is $9.99. Stikbold! 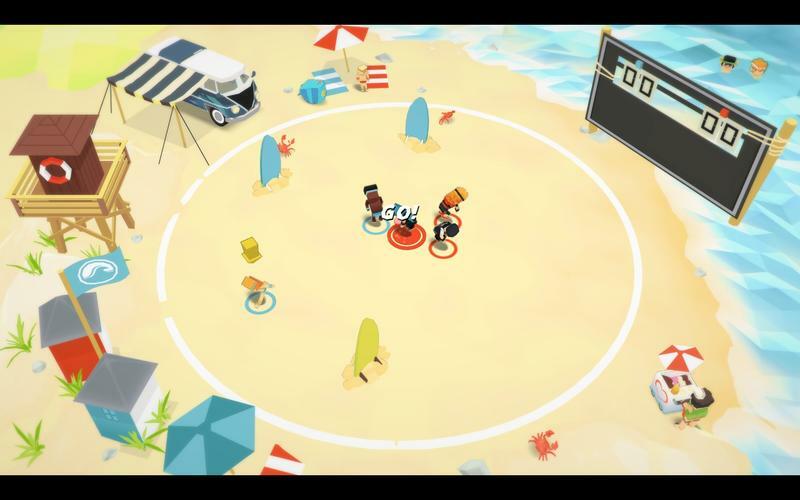 A Dodgeball Adventure is so easy to pick up and play in groups, especially for novice gamers who really only play at small gatherings. These are my friends, by the way. The ones who show up, play a few games with me, then go about their lives without a game in sight. These people enjoy Stikbold! A Dodgeball Adventure as much as I do. This game is pretty straightforward. 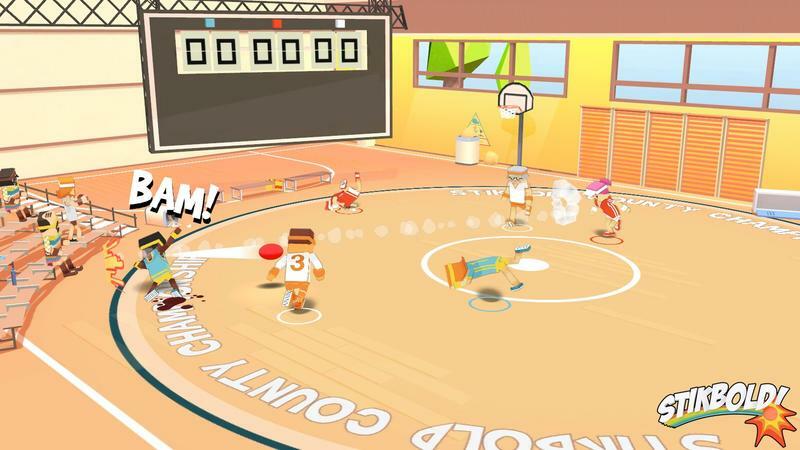 Teams of two tangle in a round dodgeball arena, sometimes with its own host of obstacles and unique gameplay twists. You use the stick to move and aim, while the controller's buttons let you dive, pass or throw your ball hard at an opponent. That's it. 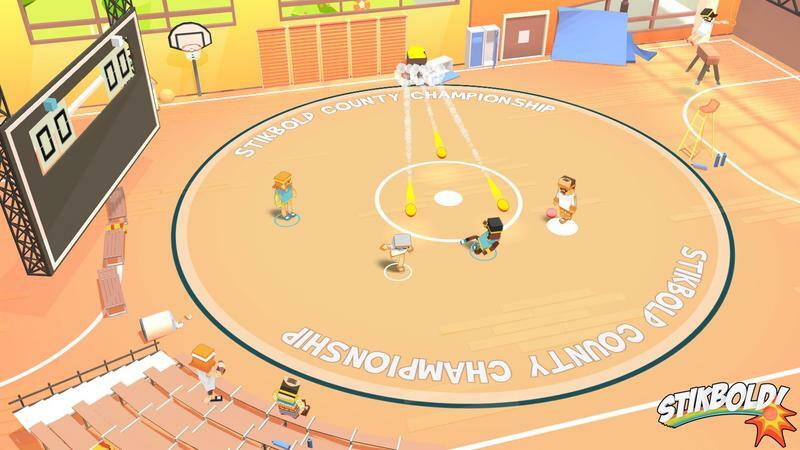 If you know how to play dodgeball and can handle a controller in even the most remote fashion, you can play Stikbold! A Dodgeball Adventure. 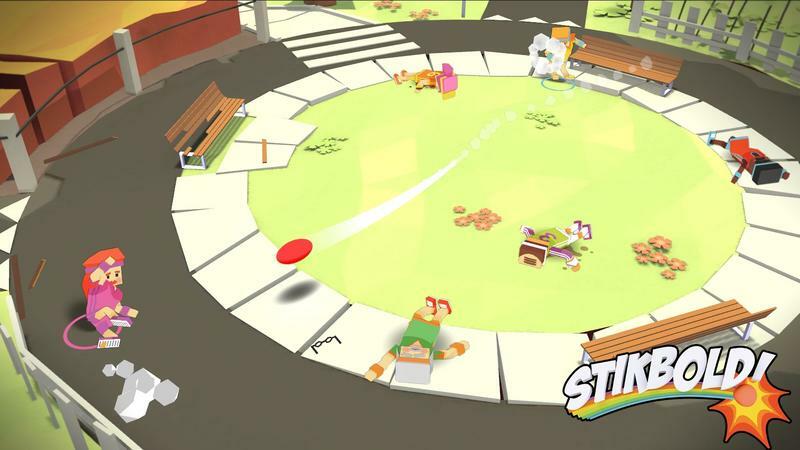 Its goofiness, pick up and play nature and designed competitive appeal makes Stikbold! perfect for quick play with friends. However, it doesn't have much staying power in its current form. Sure, for $9.99, I can absolutely live with the amount of content Stikbold! offers up. It's well worth its $10 price tag; but, we're living in an era where developers support their games with free updates long after they release. 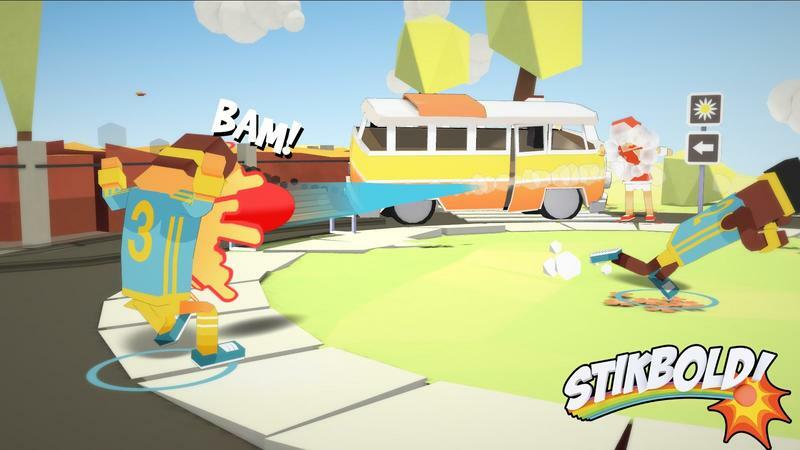 The story mode is silly, and you'll blast through it alone or with a friend in roughly two hours… at most. The matches can overstay their welcome a bit in this mode, and the fact that you can't raise the game's difficulty without starting a completely new campaign is a touch annoying. Here's an example: You have a friend over and pick the easiest difficulty since they've never played. They learn the ropes within two stages, and the game is way too easy from then on. Your only choice is to restart the story mode on a higher difficulty. A minor annoyance, for sure. That said, the campaign is fun enough. It's also the route for unlocking characters, which you'll want lots of when you're settling in to play the versus mode with friends. That's the whole package. 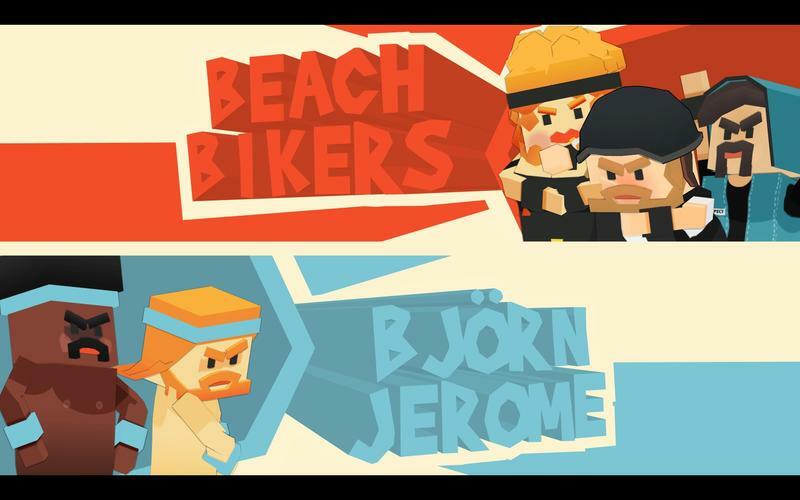 Two modes, easy play, a nice art style and a funny little story. For its price, I can't really complain. 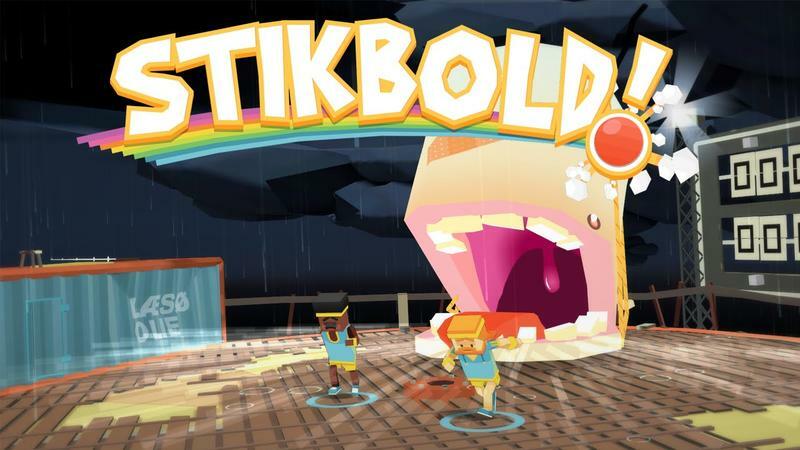 I think the reason I want more from Stikbold! A Dodgeball Adventure is because I'm genuinely enjoying it. I want more modes to play with friends, more party offerings, online matches would be amazing and new arenas are always welcome. Will this game garner enough support to actually make it worth the developers' time to create these extra things? I'm not sure. 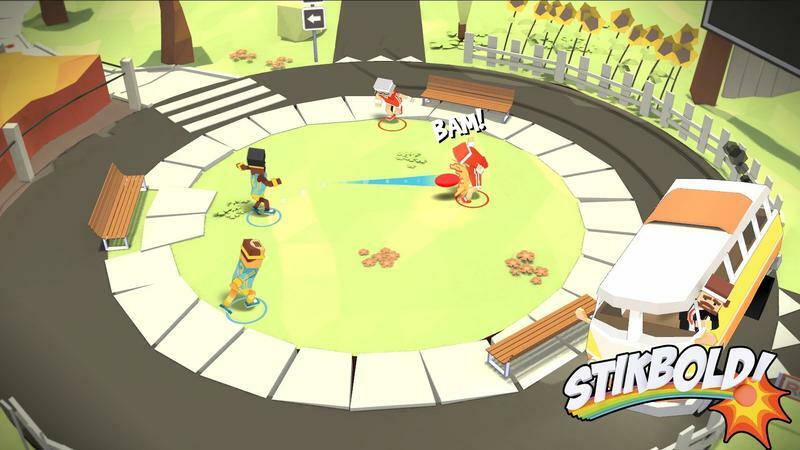 If you have friends over often, dig local couch play in gaming and have the right sense of humor for an absurd dodgeball game, Stikbold! A Dodgeball Adventure is great. It's already pretty cheap, so give it a shot. Just know that you'll be left wanting once you've exhausted its limited supply of content. 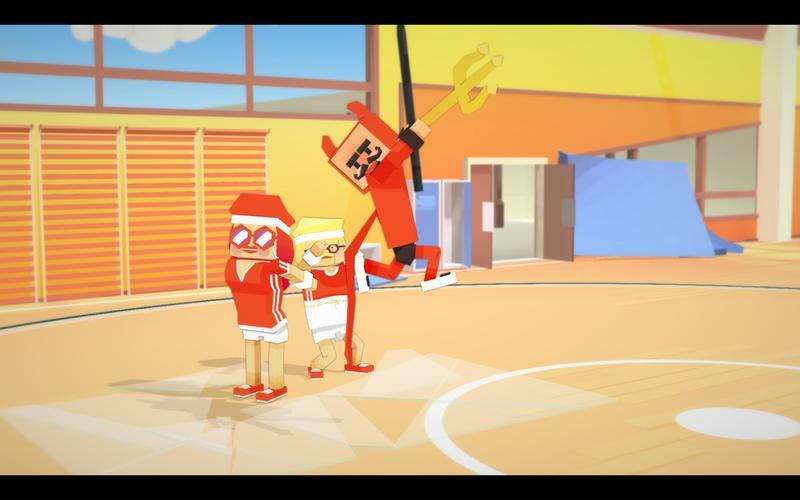 Disclaimer: We received codes for Stikbold: A Dodgeball Adventure for the PS4 and PC for review.